Giving them the 'ol razzle dazzle, Cole Porter's classic feel-good musical, High Society comes arrives in the round amid a fantastic new staging at the Old Vic Theatre. Based on The Philadelphia Story and the 1956 MGM film musical of the same name starring Bing Crosby, Grace Kelly and Frank Sinatra, High Society is the tale of Long Island social butterfly, Tracy Lord. Tracy is planning a lavish, no expense spared wedding when her ex husband shows up desperate to win her back. Discovering she still has feelings for him, Tracy is most confused! Things get even more confusing when journalist Mike Conner, sent to Long Island to report on the wedding, also falls for her. Tracy is overrun with attention and must now choose between her husband to be and two other potential loves. High Society features classic numbers such as "True Love", "You're Sensational", "Well Did You Evah?" and the unforgettable "Who Wants To Be A Millionaire?" The show is directed by Olivier Award Winning director, Maria Friedman and stars Kate Fleetwood as Tracy. Further casting includes Joe Stilgoe as Joe, Rupert Young as C.K. Dexter Haven, Annabel Scholey as Liz Imbrie, Jamie Parker as Mike Connor, Barbara Flynn as Margaret Lord and Ellie Bamber as Dinah. 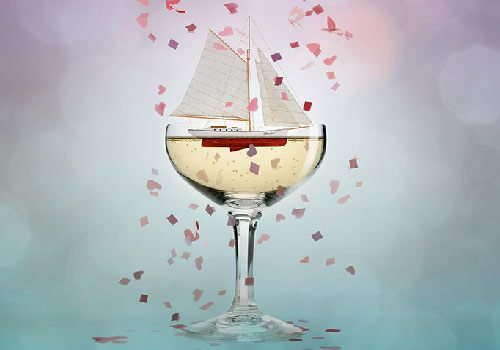 High Society runs at the Old Vic from the 30th April to the 22nd August 2015.